Two Julia classics plus three more best-loved treats. (And some great picks for bedtime.) You’re going to love this one. Are you just starting to say hello to reading? Then make sure you pick stories that make you want to read for life. Like these. 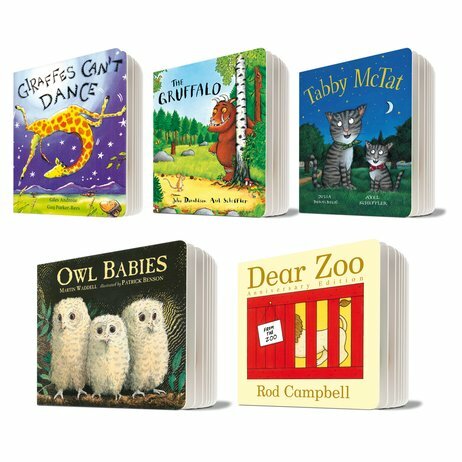 Five classic greats by star authors Giles Andreae, Rod Campbell, Martin Waddell and Julia Donaldson. Magical books by the world’s best children’s writers and artists. All specially chosen for lucky little you. Plus – look, there are animals everywhere! What could be more fun? Let us show you where the love of reading starts.